NOVELL’S announcement about Moonlight is a subject was covered very briefly 3 days ago because it had (d)evolved to become another case of generating hype for no obvious reason at all while ignoring real news about GNU/Linux and Free software. It’s an observation that was once made or echoed by Groklaw as well. We wrote about much of this before, equipped with fairly solid evidence [1, 2]. Where is all of that hype coming from? It’s a complicated thing worth exploring by looking back a what was happening. The Mono(R) Project, an open-source initiative sponsored by Novell, today announced the availability of Moonlight(TM) 1.0. The first and only open source project that provides Linux* users access to Microsoft* Silverlight* content, Moonlight demonstrates Novell’s commitment to making Linux a first-class platform for multimedia and Rich Internet Applications. 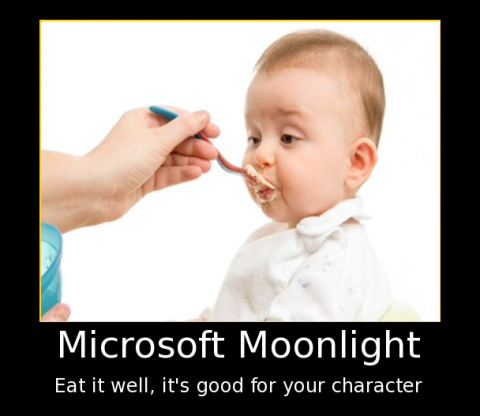 Moonlight provides the platform Linux users need to use Silverlight and Windows* Media content. In combination with Banshee(TM), a Novell-sponsored project to produce an open source media player, Moonlight is part of a complete multimedia solution on Linux. CIOL was just tweaking the press release for publication, as it so usually does. But it’s just a bunch of old news repackaged to fool reporters and pressure users to install this poison. So what’s the noteworthy feature? Well, it’s feature complete… with respect to an old version of Silverlight that many Web sites won’t accept anyway because it’s out of date. Thom Holwerda, who likes Windows, could not help it. Of course gave this coverage in OS News. In a Blog entry, De Icaza states that Moonlight1.0 is feature complete, and has passed all of Microsoft’s regression testing, and comes with support for Microsoft’s Media Pack for both 32bit and 64bit architectures. It can be installed as a Firefox plugin with a single click through the download page. Even Novell employees like Jeff Stedfast and Miguel de Icaza went over there to promote/defend it. Chief primate also promoted this in his personal blog, followed by — as always — all the usual sources that peddle Mono: eWeek, BetaNews, Softpedia, Microsoft employees, Mono people, and even Heise which is SUSE centric and thus Novell centric too. Heise wrote about the Moonlight 2.0 roadmap and also mentioned Mono support in SharpDevelop. DesktopLinux.com (of eWeek, formerly/still Ziff Davis) loves to interview de Icaza, so therein appeared some promotional coverage too. Very few people touch the thing (20k at most), so it’s likely that Novell felt compelled to make more noise about this, just like Sun does with OpenSolaris by reannouncing supposedly “big releases” time and time again. 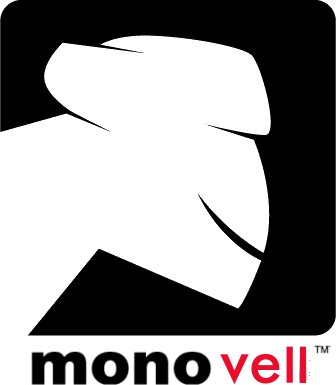 Novell’s Mono project announces the availability of Moonlight 1.0, an open-source technology that enables Linux and PowerPC Mac users to access Microsoft Silverlight and Windows Media content. Novell’s Mono project on Feb. 11 announced the availability of Moonlight 1.0, an open-source technology that enables Linux and PowerPC Mac users to access Microsoft Silverlight content. Moonlight is essentially an open-source implementation of Silverlight. The very same author used an almost identical headline some months earlier, so how can he not see that he re-delivers old news? Are authors being bamboozled? His latest article bears the headline “Novell Delivers Moonlight 1.0″, but he used the same headline not so long ago (May 2008), with the word “Ships” instead of “Delivers”. Softpedia is always among the herd which covers Mono and Moonlight in a positive light, so this time was no exception. Silverlight can now truly live up to Microsoft’s vision of delivering a cross-browser, cross-platform solution designed to power rich applications and high-quality, interactive videos, with the arrival of Moonlight 1.0. Moonlight is an open-source implementation of Silverlight for the Linux operating system, which is working its way to catch up with its Silverlight big brother tailored to Windows and Mac OS X. A joint effort by Microsoft and Novell, Moonlight is currently lagging Silverlight, which is already at version 2 since 2008, with version 3 expected by the end of 2009. The Register had a trollish and very inaccurate article, but this is not particularly surprising given that Gavin Clarke wrote it [1, 2, 3, 4]. It has a Microsoft tongue-in-cheek-type tone all over it. Ian Murdock too is upset with The Register at the moment. Silverlight is doing very badly, but we already knew that. So why is Novell helping it as though it’s inevitable? Should one laugh at this headline? Novell has released the much-anticipated 1.0 version of Moonlight, the open source equivalent of Microsoft’s Silverlight, designed to work with Linux- and Unix-based environments. “Much-anticipated” by whom? By Microsoft? Novell’s management? Or maybe SJVN? Officially, Moonlight supports SLED (SUSE Linux Enterprise Desktop) 10, the latest versions of openSUSE, Fedora and Ubuntu on 32-bit architectures and SLED and openSUSE on 64-bit chips. In practice, I’ve installed and used it without any trouble at all on not only those operating systems but on MEPIS 8, which is based on Debian 5, Lenny, and Mint 6, which is built on top of Ubuntu 8.10. Distro discrimination is unsurprisingly part of this package. Those who pay Microsoft for mythical patents receive preferential treatment and this should not be too shocking because Moonlight is not Free software. Ryan Paul is one of the bigger Mono enthusiasts out there, so it was expected that he too would cover it. Novell has officially released Moonlight 1.0, an open source implementation of Microsoft’s Silverlight framework for rich Internet applications. Moonlight, which is distributed as a Firefox plugin, brings Silverlight’s media capabilities to the Linux platform. Which Silverlight? Yesterday’s? The one that’s of no use for access to Web sites that Microsoft seizes using its binaries? Laurent Lachal of analyst firm Ovum said that the Mono Project is still finding its footing but Moonlight has the potential to have a bigger impact. “Microsoft is very much pushing Silverlight as multi-platform, because it is coming from a position of weakness vis-à-vis Adobe,” he explained. According to ZDNet Australia, Moonlight 1.0 hamstrung in a catch-22. Novell yesterday announced the official release of Moonlight 1.0, a project to bring Microsoft’s Silverlight runtime to Linux — but can the project ever catch Microsoft’s shadow? Moonlight 1.0 was actually available on US President Obama’s Inauguration Day, but before everyone runs off and starts to attempt to view Photosynth and DeepZoom Silverlight applications, be aware that Moonlight 1.0 is an analog of Silverlight 1.0; all the glitzy Silverlight demonstrations of recent months will not work. Basically, all Moonlight 1.0 is good for is viewing online video implemented in Silverlight 1.0. Moonlight exists in this Catch-22 state whereby it is open source but has to rely on Microsoft codes/feature planning, thereby drawing the ire of some members of the Linux community. It’s a shame that such attitudes exist. The idea of packing a .NET CLR into a browser plug-in is a powerful idea as Moonlight steams towards Moonlight 2.0. IDG, which is obedient to Microsoft’s interests [1, 2] and imposed consensus (rarely truism), covered this also. Also on the schedule for the Moonlight and Mono team is version 2.4 of Mono, an open source, cross-platform implementation of the Microsoft .Net development framework. Due in March, version 2.4 will feature a revamped ASP.Net stack that is many times faster than the current version, de Icaza said. ASP.Net is Microsoft’s technology for building Web sites. Moonlight, the open-source implementation of Microsoft’s Silverlight, has hit the 1.0 milestone. LinuxToday readers were very uninterested in Moonlight. That’s merely business as usual for that crowd. Comments can be found here. Moonlight is also forbidden from entering Fedora because the SFLC considers it poisonous. This is a vector for inserting Microsoft binaries into people’s GNU/Linux boxes, as David Meyer has just reminded readers. Moonshine, which requires Moonlight to have been installed first, uses Moonlight’s inbuilt Windows Media capabilities to “bring Windows Media playback to Linux in a fully legitimate way, without forcing the end user to worry about what a codec is”, Bockover wrote in a blog post. To make matters worse, someone is giving a bad name to a previous Fedora release by unleashing a sort of Moonlight addon called “Moonshine”. Miguel is already boosting Moonshine.